The Brentwood-Darlington Neighborhood Association (BDNA) is one of ninety-five citizen-run, all volunteer associations representing Portland, Oregon neighborhoods. 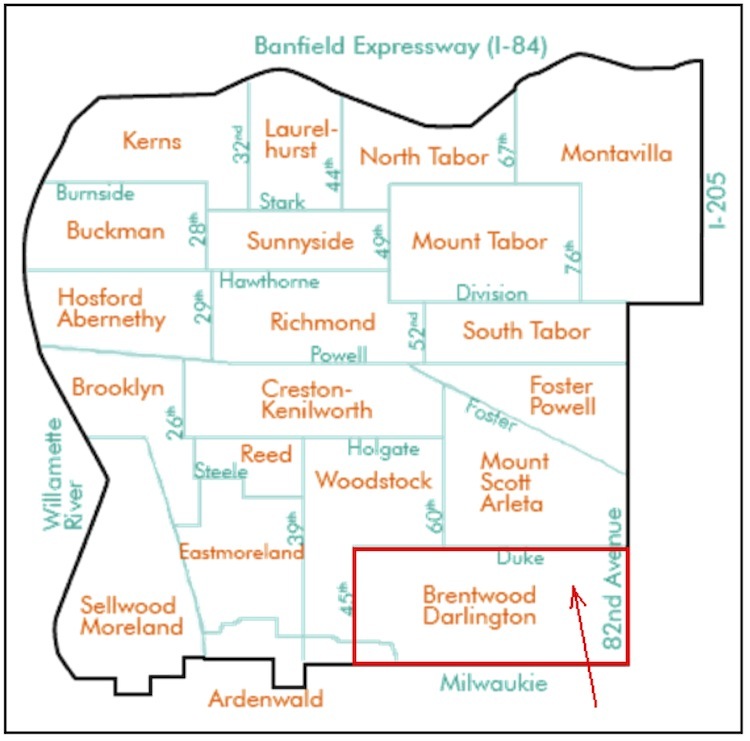 The Brentwood-Darlington Neighborhood Association meets on the first Thursday of the month at 7:00PM at Brentwood-Darlington Community Center, 7211 SE 62nd Avenue. Doors open at 6:30PM. Everyone is welcome to attend and learn more about BDNA and current neighborhood projects. If you would like to be on the Agenda please send an email to the Chair at brentwood.darlington@gmail.com to request a time slot. Stay up-to-date on neighborhood news by subscribing to our e-newsletter and following us on Facebook, Twitter, Instagram, and NextDoor.